Slice from one end, down the center, about 1/3 of the length of the hot dog, to form legs. Slice two gill like slits to form arms. Microwave for 25 to 30 seconds. 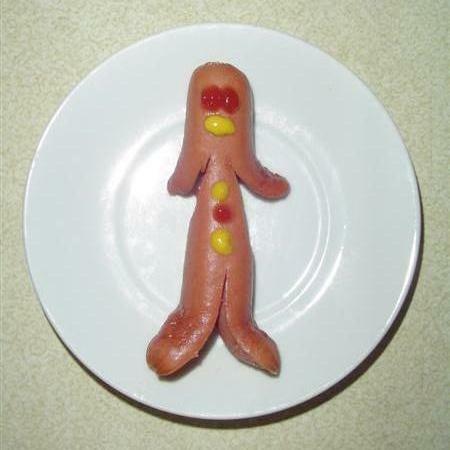 Use ketchup and/or mustard to draw face on hot dog. Serve it with a smile.